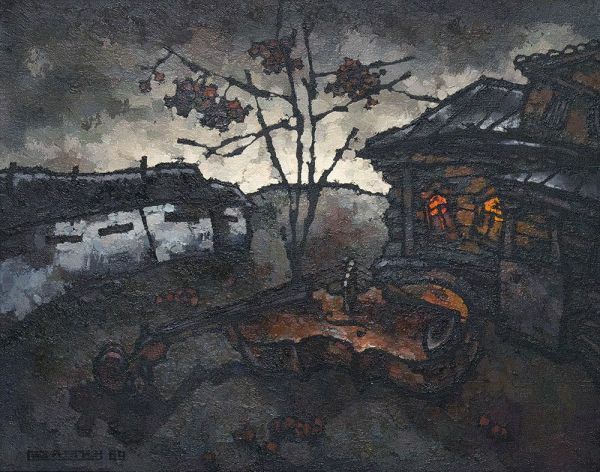 Buy works – Rabin Oskar Yakovlevich | (1928, Moscow - 2018). Rabin Oskar Yakovlevich (1928, Moscow - 2018). 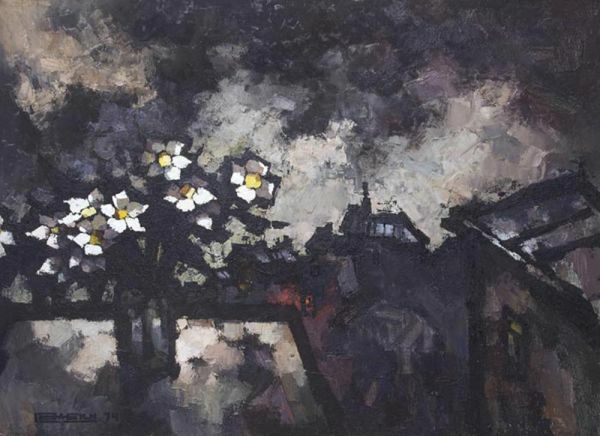 First teacher of the artist was E.L Kropivnitsky, an artist and a poet. O.Y. Rabin studied in the Academ of Arts in Riga (1946-1948), atSurikov Moscow State Institute of Arts, and where he was expelled du< to his "formalism". The formation of artists personality was much influenced by the acquaintance: with western artists at the exhibition of World festival of youth and students in Moscow (1957). ОЛ Rabin is considered as one of the founders of "barrack school" - a recrusancy movement, which pay: much attention to misery and hopeless live in the Soviet. Became one of the organizers of "bulldoze exhibition" in 1974. By the Decree of presidium of the supreme soviet of the USSR Oskar Rabin wa: denaturalized of Soviet citizenship and since the he settled and lives in Paris, works in his persons studio in the Centre of Arts named after Pompidu. 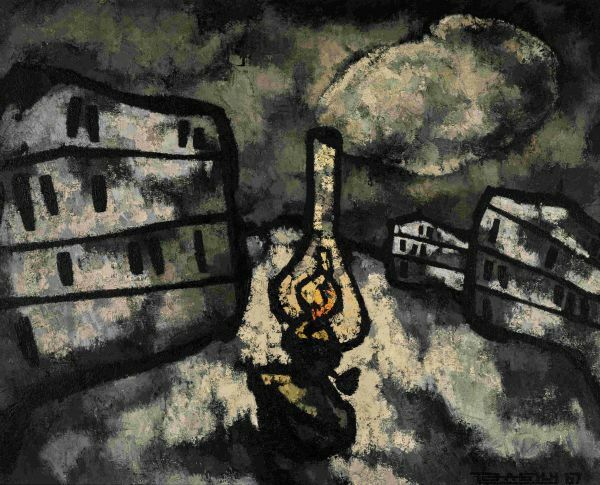 Nowadays, Oskar Rabin is one of the best-sellers a the world bids of the soviet artists-recusants, and is regularly exposed in New York, Paris, Oslo, Vienna London. In 1991 the personal artist's exhibition took place in Moscow in the Museum of Literature His works are the regular exhibits in the State Tretyakov Gallery and the State Russian Museum, the can be found in numerous museums of the modern art all over the world. New houses and a lamp. Barracks in Lianozovo with birds. Technique: Oil and gold leaf on canvas.